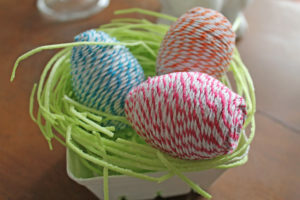 Easter is just a little more than a week away, and it’s time to start decorating those eggs! 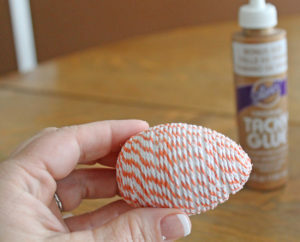 Of course, my girls love to dye and paint them…but I’m not crazy about the mess those supplies can sometimes make. 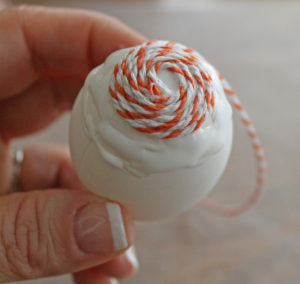 This idea for decorating eggs is mess-free, except for maybe some sticky fingers from the glue. 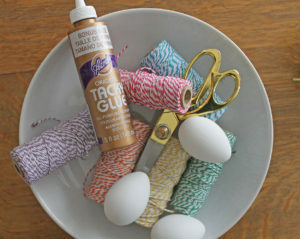 You will need baker’s twine, scissors, and tacky glue…AND of course, the eggs. 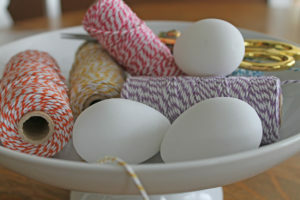 To start, put some glue on one end of the egg and begin wrapping the baker’s twine around the egg in a circular fashion. 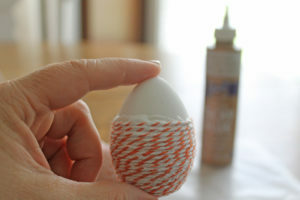 Continue wrapping the twine around the egg until it is covered…this is where those fingers may become sticky. 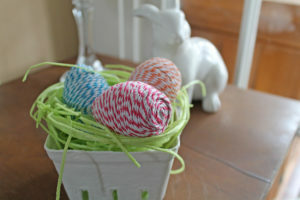 You can make several of these using various colors to create a fun display for those Easter festivities!